This Is An American Oak Store Type Wall Clock, Called The "Pelican" By The Waterbury Clock Co. Circa 1910-1920 It Has The Original Paper Dial And Brass Pendulum Bob. 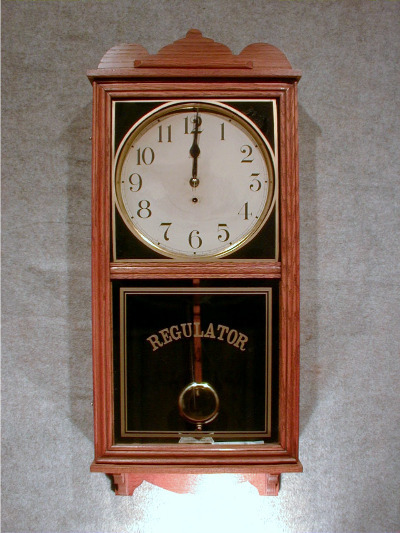 The Lower "Regulator" Glass Is A Reproduction, The Top Black And Gold Glass Is Original. Nice Orginal Factory Labels And Repair Labels. This Is An 8 Day Timepiece. . H. - 38" X W. - 16 1/2" D. - 5"